The California Assembly approved a resolution Monday officially declaring this week as Sunshine Week. 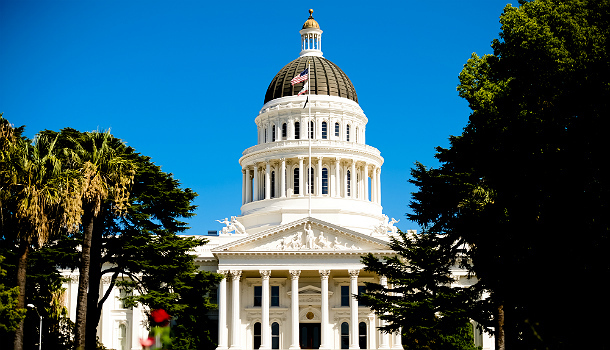 CA Fwd suggested and backed ACR-41 and 74 Assembly members signed onto the bill as co-authors. At CA Fwd, we believe that a more open and transparent government can result in an accountability that is healthy for our democracy. That’s why we make such a big deal about Sunshine Week, an annual nationwide celebration of access to public information and what it means for you and your community. Technology has the power to transform government -- to promote job creation, to make services more cost-effective, to increase public involvement and understanding, and to enable greater accountability for results. CA Fwd is working with innovators inside and outside of government to use technology to improve results, to promote pioneers and best practices, and to identify how regulations and statutes can be modernized to accelerate the adaptation of technology in the service of the public interest. And this Sunshine Week, on Wednesday March 18, we are also hosting the 2015 Summit on Data. It’s the second year in a row that we have held such an event in Sacramento that has attracted local, state, and national leaders on the topic to share ideas. It also gives CA Fwd an opportunity to synthesize learning from the Regional Data Forums that it conducted over the past year across California (in Fresno, Long Beach, San Bernardino and the Silicon Valley). We believe that 2015 should the year for open data in California. A new crop of state lawmakers and constitutional officers, combined with activity already underway in state and local governments, are pushing California closer to a “tipping point” where the demand and use of data can truly transform the public sector. As an example, the cities of Los Angeles and San Diego have both hired chief data officers in the last year. Big cities and state agencies admittedly can afford chief data officers and highly trained staff to go with them. A data policy has to think holistically—a policy that integrate not just a few but all of the state’s 58 counties, 488 cities and thousands of special districts, boards and agencies. We’ve been asking Californians online about the data issues: We’ve received over 600 responses to an online survey from data users in the public, private and non-profit sectors. What are they telling us? We are going to leave our questions on open data on the CA Fwd website, if you haven’t filled it out yet and want to, click here. By the way, if you are thinking about attending the March 18 Summit in Sacramento, you can register here.